I couldn't resist a few pictures from my recent visit to our frozen Ohio River. These geese and gulls are permanent residents who decided to haul out on the shore. Of course, friendly locals were feeding them. So the birds were pretty happy with their circumstances. I was driving back to my house this morning after running some errands and found this barge making its way up the Ohio River. With temps overnight at -8 degrees, the river has frozen over in large parts. Releasing water from the dams and continual barge traffic is keeping the river open. But, you can see it's slow going as these barges have to break through ice. Although my view was cold, the beauty of nature and winter was quite a treat! The weather has been awful here this week, so no pictures of my chickens to share today. They've been staying warm and dry as we've had tons of snow and temperatures in the double-digit negatives. But, along with the nasty weather comes beauty as my feeders have been full of colorful jewels. So enjoy these charming characters! A blue jay awaits a turn at the feeder. This blue jay's a little curious. A red-bellied woodpecker in the surrounding trees. This eastern towhee is getting a treat! 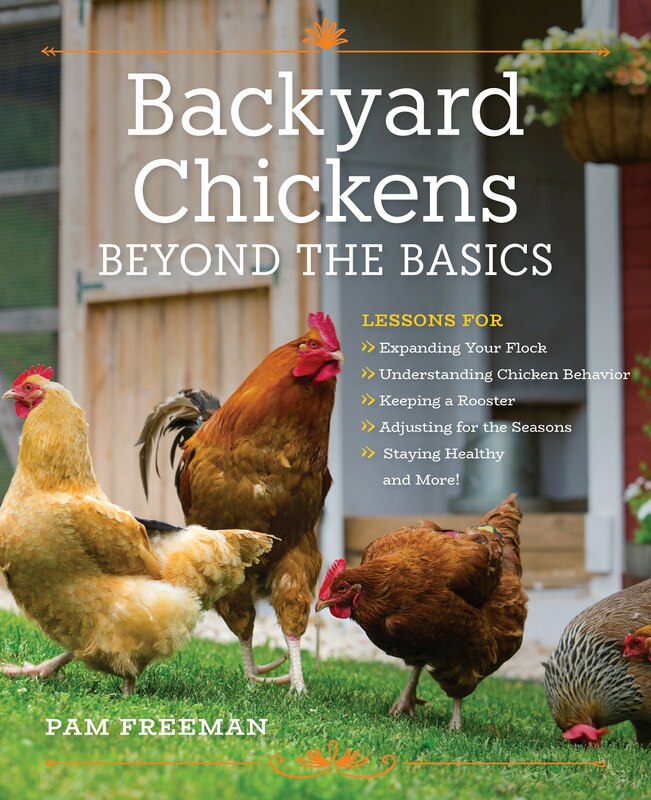 With chick season starting, many of us are planning new additions to our flocks. So, here's a look at The Ohio National, America's largest annual poultry show. 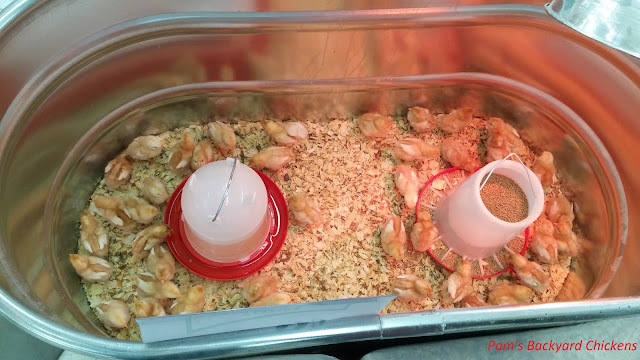 I recently toured the show and wrote this post for Backyard Poultry Magazine. I thought it may give you some inspiration when ordering chicks! As we pulled into the parking lot of the Voinovich Building on the Ohio State Fairgrounds in Columbus, it was evident things were under way. People were wandering the parking lot with turkeys and chickens tucked under their arms. Some were haggling as birds were being sold right out of the backs of cars. I immediately knew this would be quite an experience, and I wasn’t wrong. I have to admit, the first thing you notice inside is the smell and the haze of dust. It’s not that anything was unclean; it’s just that thousands of animals are occupying the same place all with bedding and lots of poop. Once you get a sense of place, the usual poultry show sights are everywhere, just at The Ohio National, it’s all on a large scale. Hundreds of shiny trophies line tables, judges are meticulously sizing up birds in closed aisles, kids are anxiously working with judges and participants are eagerly prepping their birds and taking glamour shots. From there, The Ohio National is like a hatchery catalog on steroids. If you’re wondering what breed of bird to choose, they are all there in real time. It’s funny to walk with a catalog and compare the pictures to real life. Then, there are the exotic species that you don’t find in your standard catalogs. I was taken by the varieties of fancy pigeons some with curly feathers on their backs, others with feathered feet, some with almost no beak and others that stand tall like game birds. The call ducks were terribly cute and with so many color choices, I don’t know how you’d pick. Bantam chickens, which are often considered the Easter eggs of the chicken world, were out in force. It was cage after cage of bantams each more beautiful than the next. In an adjoining building, African Geese wowed us with their antics and honking. And meat ducks, which I had never seen before, were aplenty. On the market side, there was a swap meet area where people were selling their birds. While my kids wanted one of everything and I constantly thwarted their requests, we were all a little put off by the more rough conditions that existed in this area. I just hope that all those animals found good homes and that their new owners quarantined them before adding them to existing flocks. Overall, if you’re in the area, I’d say The Ohio National is worth a visit. For me, I was used to the friendly confines of 4-H and FFA at local fairs. This was different; this was serious business for the competitors. And, frankly, the sheer size of this event and splendor of the birds is something to behold.